Yusuf Haji Aden was a great man. A great teacher who began schools in Somaliland, and the schools in Somaliland were the first schools for Somalis inside their respective countries. Alongside Mohamud Ahmed Ali, the Father of Education and with several others in his generation, Yusuf started one of the first Schools ever in any Somali territory at the present Sheick Bashir ex Fisher School of Hargiesa. Among his first students were late Presidents of Somaliland Egal and Abdirahman Tuur. I remember him telling the story. Yusuf said “ We the teachers decided to begin the first class with members of our families, so the people might follow our example and bring their sons to the School. Therefore, Mohamud brought Abdirahman Tuur, I enrolled my brother Suudi, Ghandi came with Kabad, and Ahmed Shire took Bawkah to the class. Then we asked several elders of Hargeisa to trust us and send the kids to our School. So, Egal, Ali Qadi ( who later became our first Doctor ) Ahmed Kaise were among those that we began with our first class…. ” Yusuf was a great story teller, and anybody who listened to him talking about the history of our schooling was impressed that evening. It was in the family room of one of the biggest houses in Hargeisa that time. The residence of Abdi Ayub family, one of the most famous families of Hargeisa and Somaliland. Apart from being a great teacher, Yusuf Haji Aden was a great poet. One of the best that we have ever produced. He wrote Soomaaliyey tooso, which later became the National Anthem of Somalia in 1940s. My father who was a friend of Yusuf used to be very fond of all the Nationalist poems of him. He had a great many love songs also. In the field of Art Yusuf was not only confined to poetry and songs, he was formidable in theatre and plays. As a matter of fact he was the originator and the creator of the Somali Folk Lore Dancers. He once told us in a lecture he delivered to us in the University, that he made his group collect and perfect a dying breed of rich folklore dances and plays that number more than a 100. He was the greatest Icon of our culture. Nobody could even come close to his achievements in that field. He was to our folklore what Musa Galal was to our language. Not only was Yusuf Haji Aden a teacher and a poet, he was also a great diplomat, who as counselor in 1960s has done a great job. If you want to understand why Egypt and Sudan used to send large numbers of teachers, doctors and legal personalities to our country all the way from early sixties, do not look further than Ysuf Haji Aden. No doubt Yusuf is one of our greatest Historical Figures. 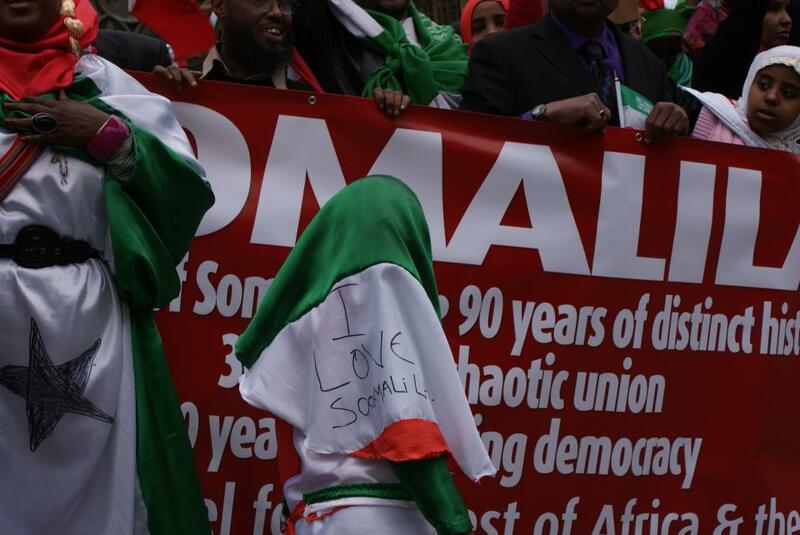 His death creates a vacuum in Somaliland, one that can not be easily filled. However, I would say that he lived and spent his life in the most enviable way, and he left a wonderful a legacy. Legacy of productive people he taught, of wonderful lyrics he made, and of a great number of positive achievements. May Allah bless his soul, and in the name of every Somalilander in Canada, I am sending my deepest condolences to his family and to all the people of Somaliland. The views published here are solely those of its authors (Mohamud Tani) and do not necessarily reflect those of REDSEA-ONLINE.COM.